When I closed down Fuzzy Hedgehog Press last year, I ceased all publishing operations, including printing my own books. I knew that I wanted to continue getting my books into the world in some form, but I had to clean up my mess first. Now, seven months later, I find myself in a much better position. My business and all its associated administrative functions have been shut down, and my apartment is now my apartment again. Remaining copies of previous editions of my books have been moved to storage. A few months ago, I started looking into book printing again, this time determined that I would not end up paying enormous sums for print runs. I wanted to a place that would set up my books for print-on-demand direct to customers for a reasonable price, at a quality that is not egregiously low, and with distribution terms that respected my intellectual property. I have now found such a printer. I can now make beautiful print versions of my books available to anyone at low cost, while continuing to provide free ebooks from my website. The ones currently available, by the way, need an upgrade. When I prepared the extant copies of Alterra, Schrödinger's City, and Our Algorithm six months to a year ago, I simply output the print book into ebook form, but I realize now that the ebooks need their own formatting. Release a second edition with a new introduction, in ebook, paperback, and hardcover. Release a second edition in ebook, paperback, and hardcover. Release a second edition paperback and hardcover. Release a first edition paperback and hardcover. Release the first edition, including an introduction about why it took me three years to release this novel, in ebook, paperback, and hardcover. Release the first edition in ebook, paperback, and hardcover. This may look like a lot of work, but, in fact, it should fit inside six months. 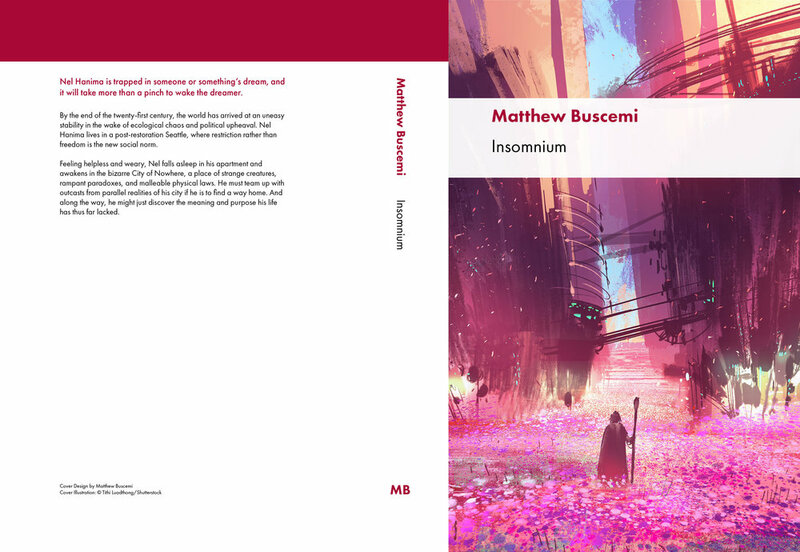 Insomnium, Alterra, Schrödinger's City, and Our Algorithm are "ready to go" from an editing/proofreading standpoint and simply need to be laid out in the new format. The Voyage books need a little more editing, but not much. That leaves only Commencement Day, the draft for which is currently at around 60-70% completion. Look for these to come available over the next five months. Subscribe to this blog to find out when each title and format becomes available.